If you've followed my photographic journey for any length of time, you've probably picked up on the fact that I take a lot of weird pictures. 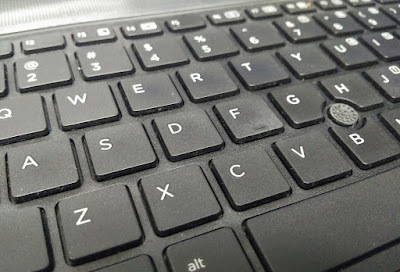 Among the photographic weirdness: I have a thing for keyboards. See here for one notable example. Normally, I shoot them when they're new and perfect, before they get all shmutzy and smudgy and gross. 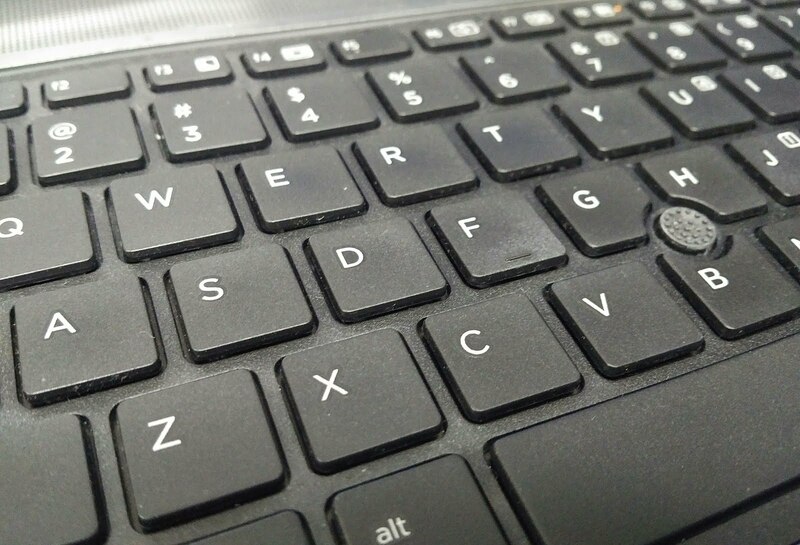 Keyboards, like most electronic devices, tend to not age well. But I'm going to break my it-must-be-new thing and share this one. Because even if it isn't perfectly new, it nevertheless tells a story that may be worth sitting down and listening to. I wonder what this keyboard's story is. Any guesses?